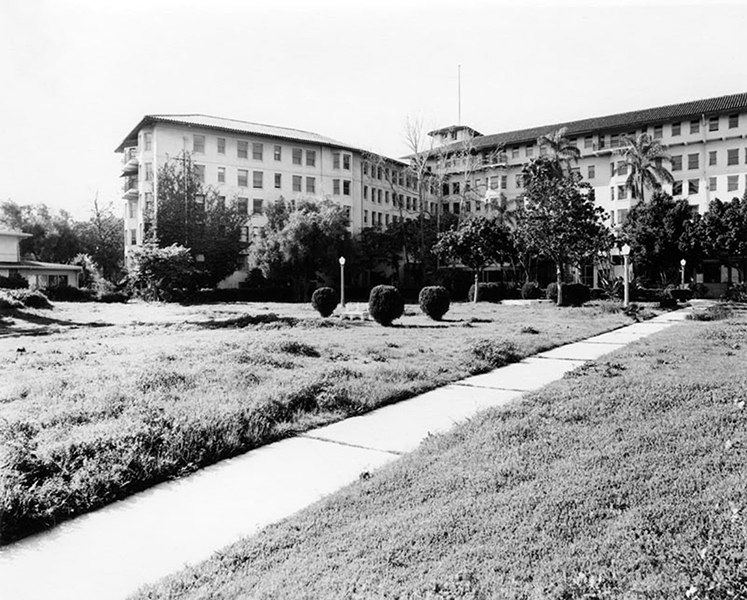 A night view of the Los Angeles Ambassador Hotel. Hay Whidden & His Orchestra is on the marquee for the Cocoanut Grove. 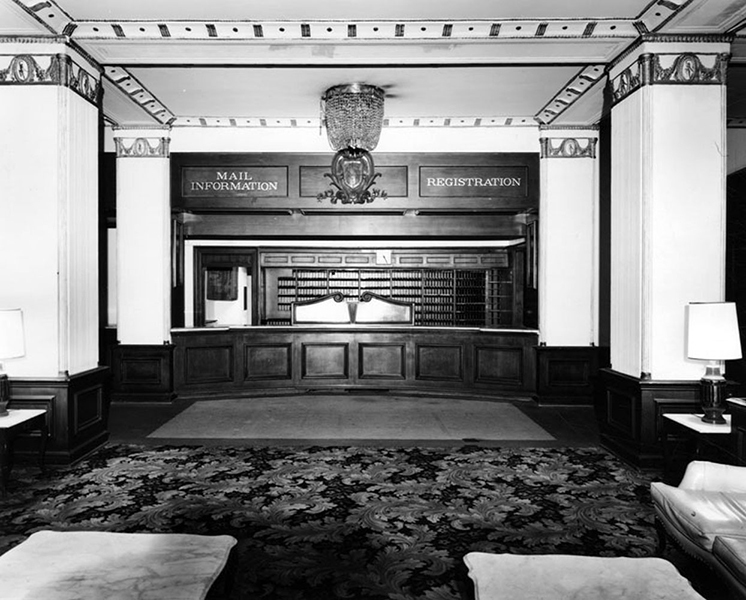 The original ball room of the Ambassador Hotel in Los Angeles, circa 1921. 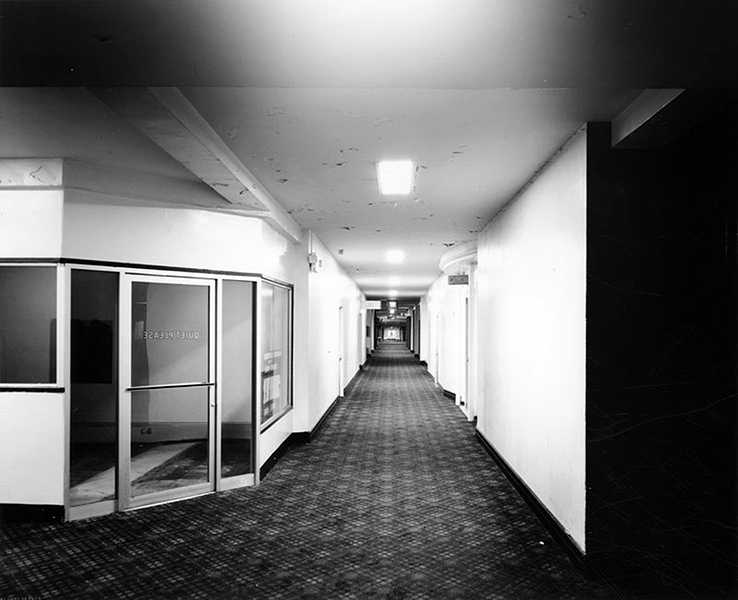 Two men walking out of the Ambassador Hotel. Photo taken in the 1920s. 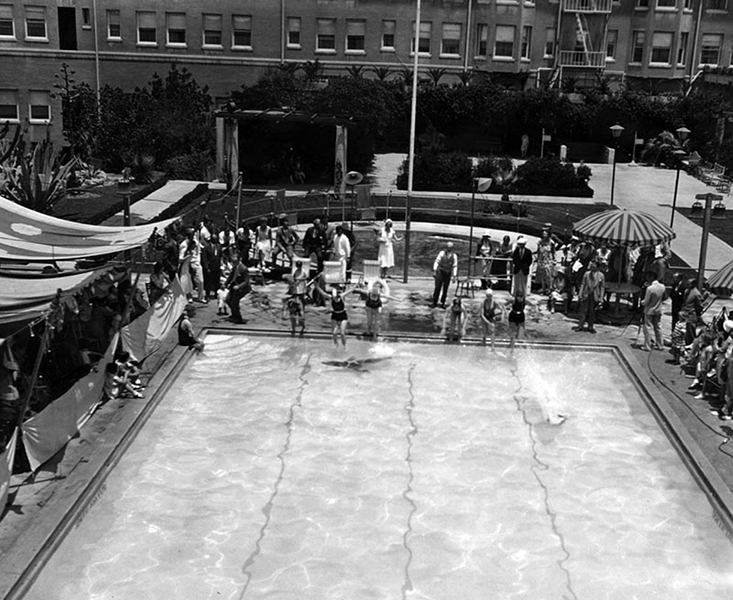 A 1920s view of the Los Angeles Ambassador Hotel’s plunge. 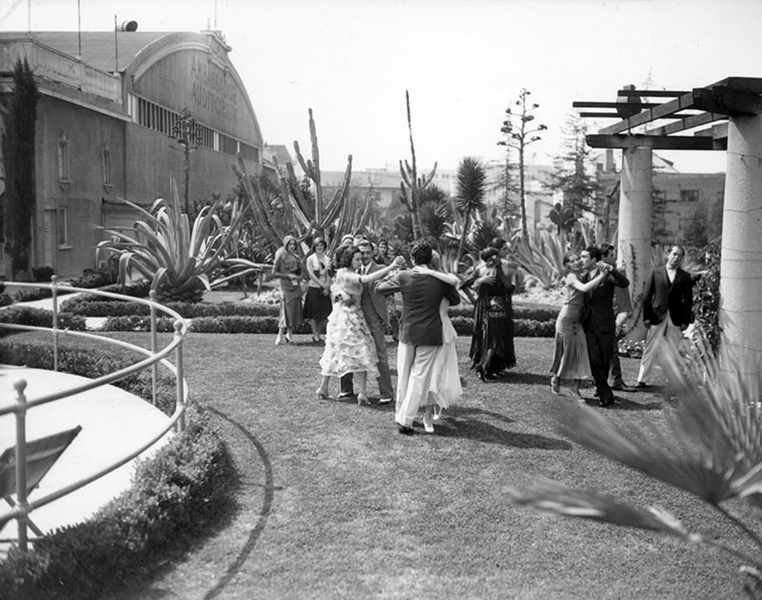 Dancers on the grounds at the Ambassador Hotel. No date given, but could be around 1930. 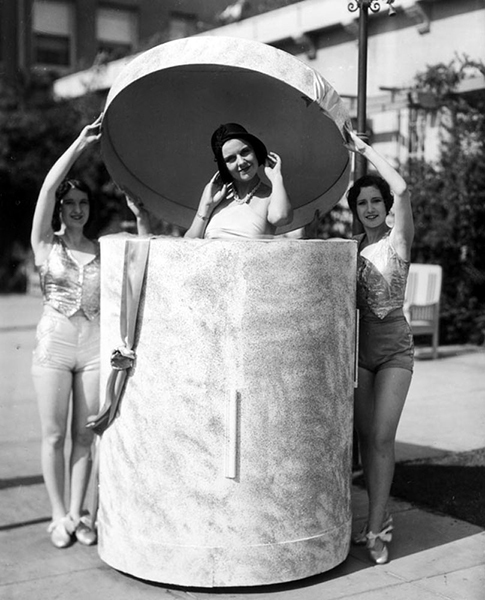 Fashion show on the hotel grounds, circa 1930. 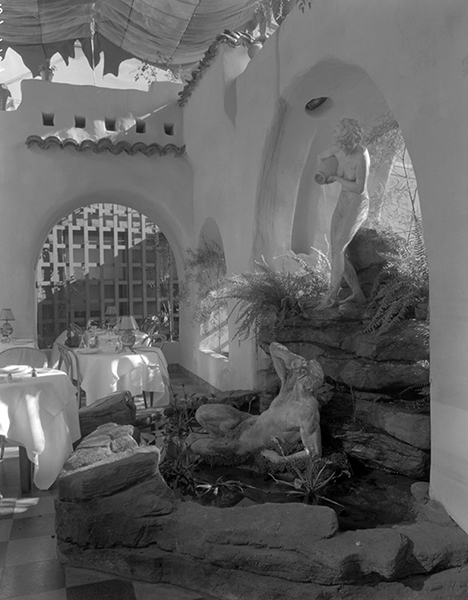 Patio dining at the Ambassador Hotel, taken sometime between 1923 and 1933. 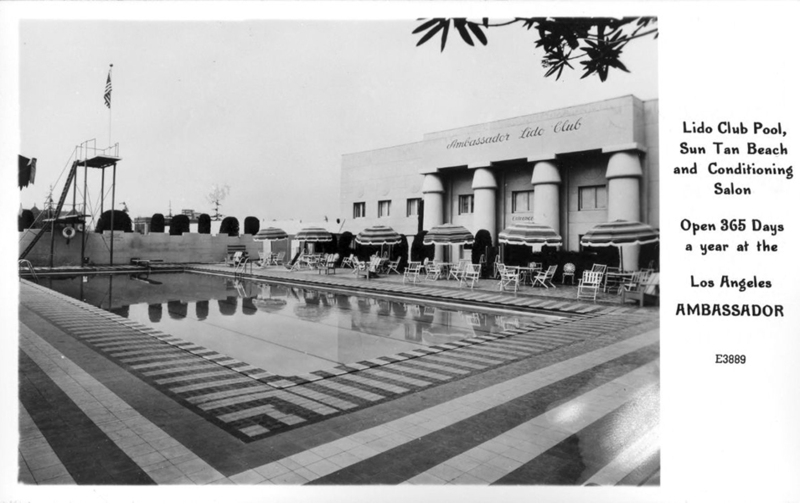 A restored (and enlarged) postcard image of the famous Cocoanut Grove at the Los Angeles Ambassador Hotel. 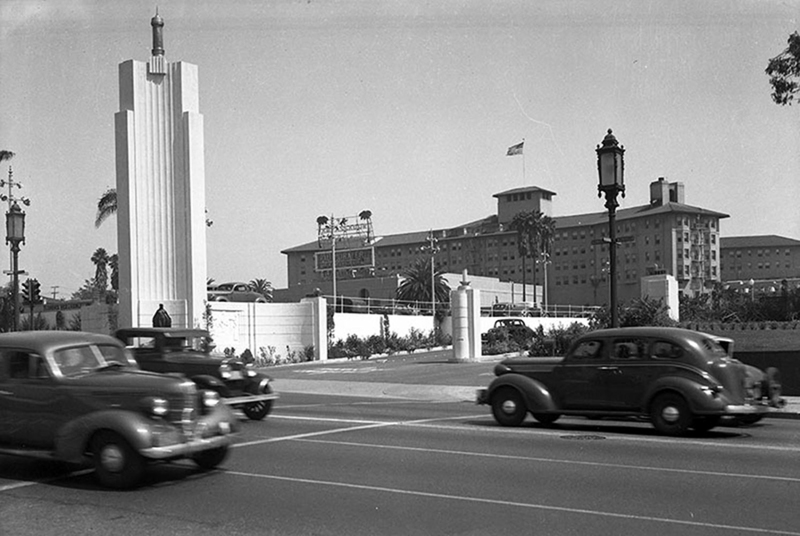 A night at the Ambassador Hotel in Los Angeles, circa 1932, with Mary Carlisle, Carole Lombard, and William Powell. 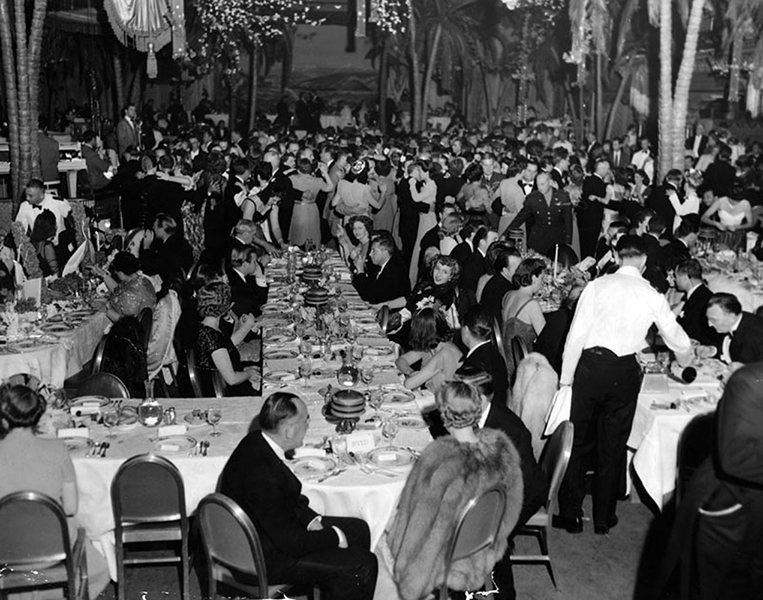 A rare candid taken inside the legendary Los Angeles night spot, the Cocoanut Grove, in March of 1936. 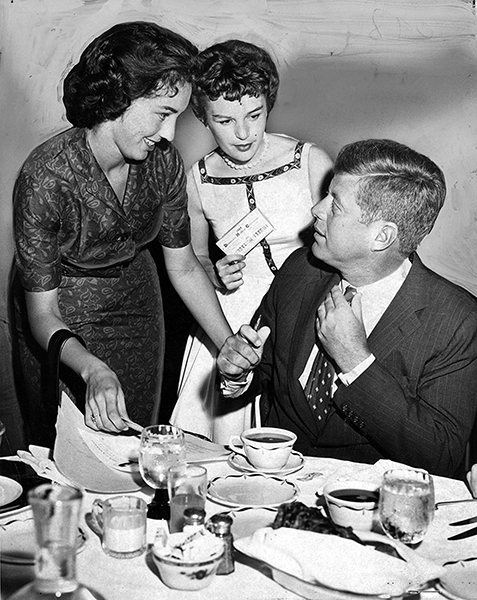 The people seated at the table are Mary Brian, Cary Grant and Wendie Barrie. 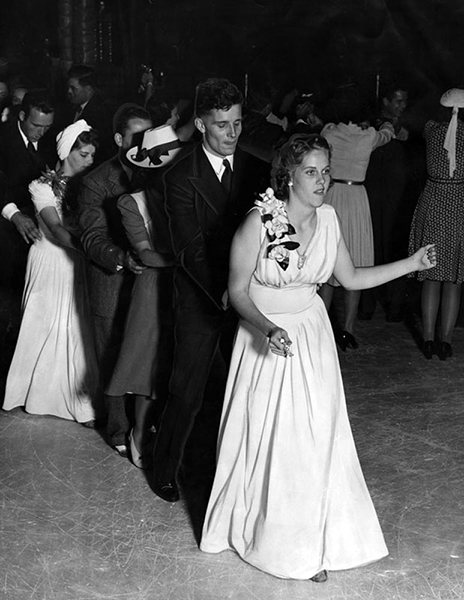 The two men standing behind them are Ben Lyon and Ben Bernie. 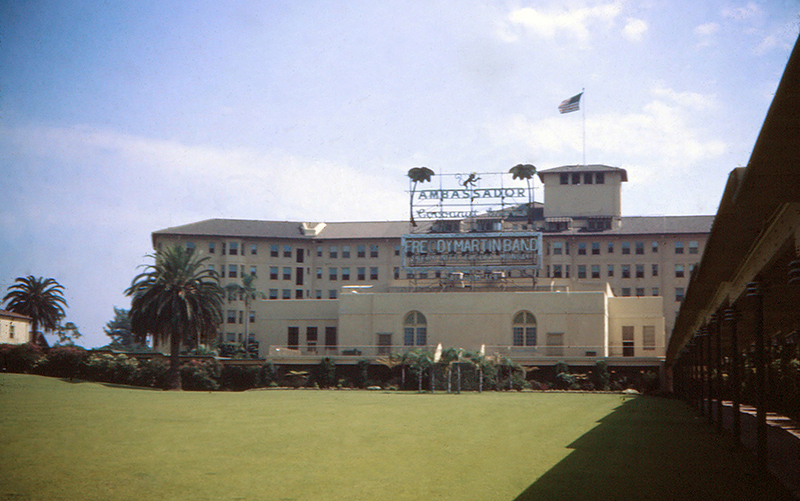 An enlarged vintage postcard view of the Ambassador Hotel in Los Angeles. 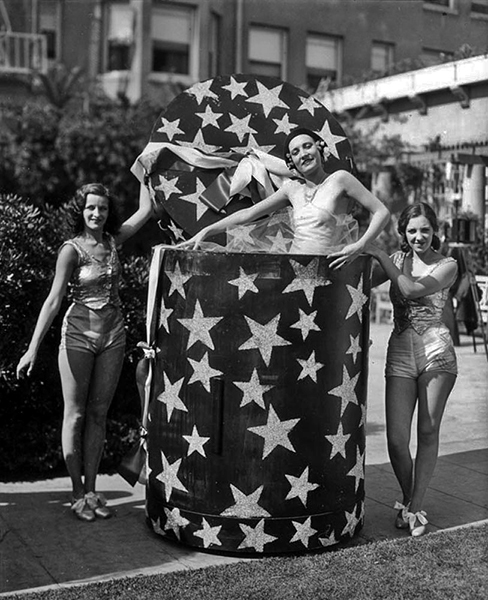 A close-up view of a water fountain near the Ambassador Hotel’s Wilshire Blvd. 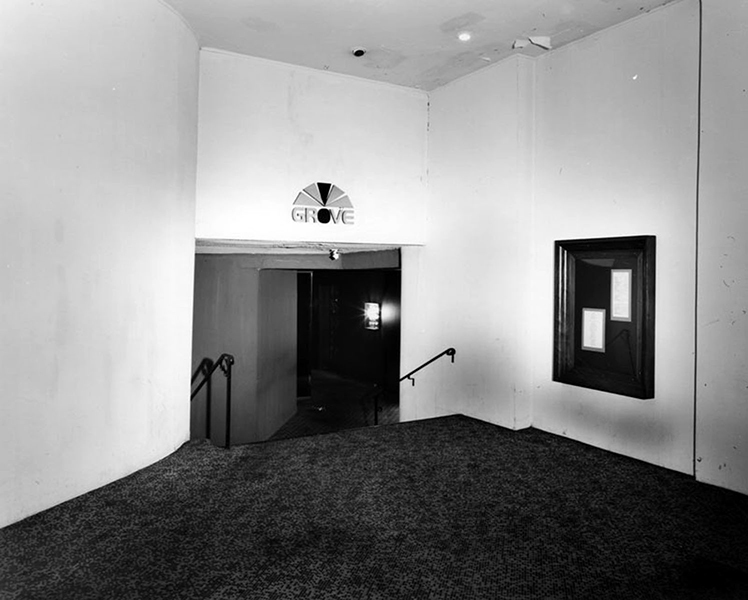 entrance in Los Angeles. Note the flying fish. 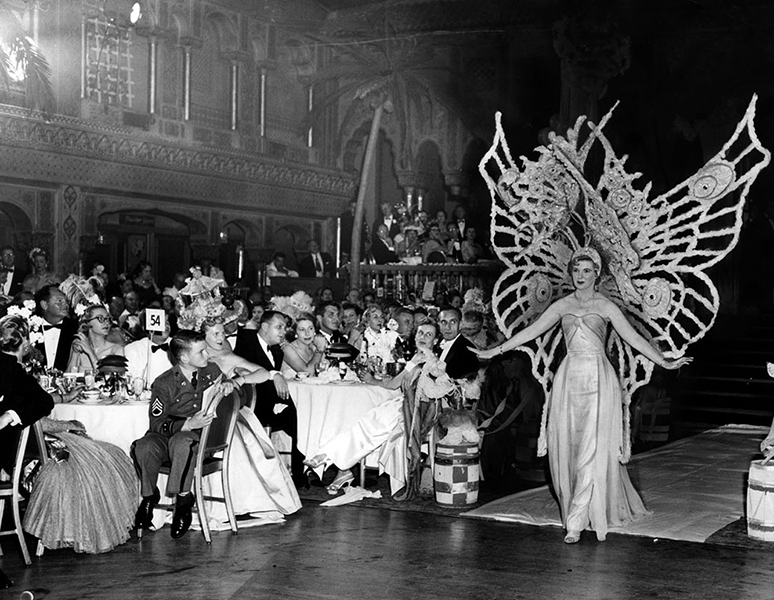 A crooner sings at an Academy Awards ceremony in the Cocoanut Grove of the Ambassador Hotel in Los Angeles. 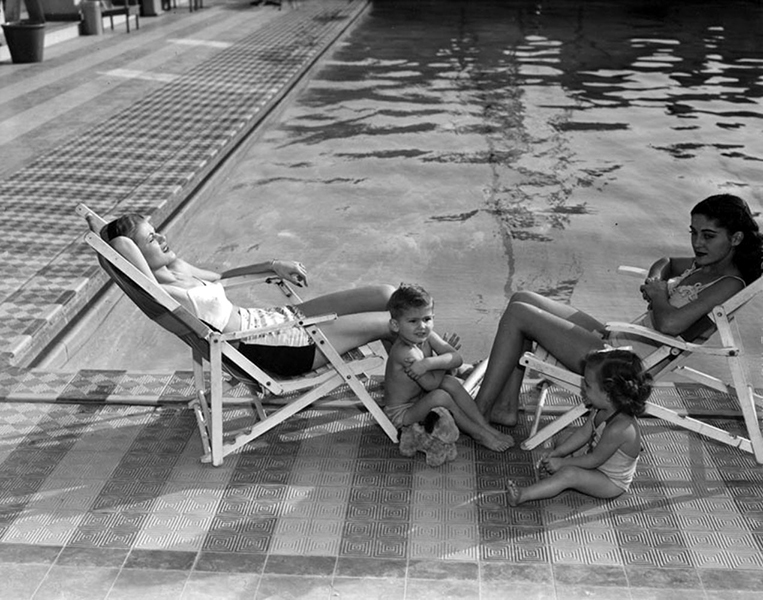 I’m guessing that this photo was taken in 1940 or 1943. 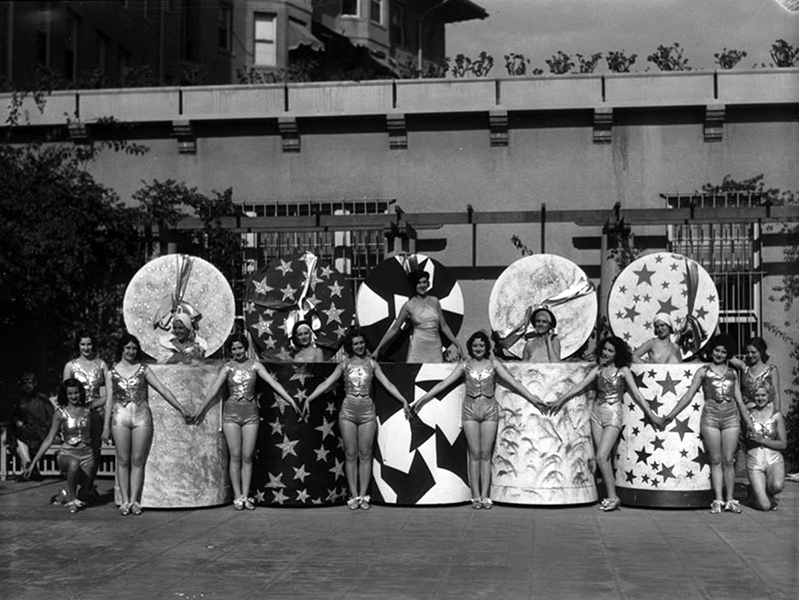 An enlarged, vintage postcard image of the “World Famous Cocoanut Grove” at the Los Angeles Ambassador Hotel. 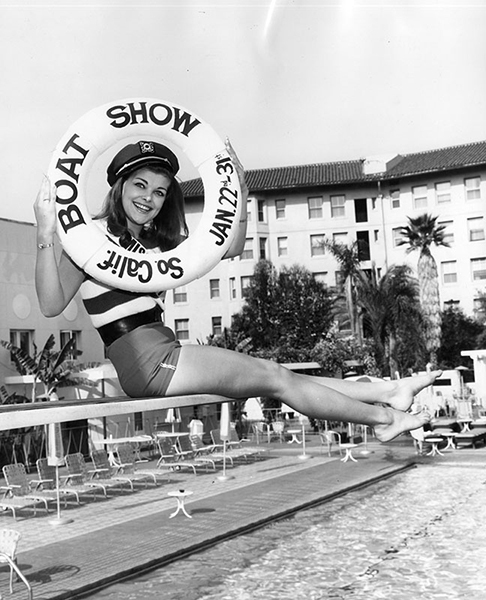 Postcard reads: Save 50% on Ambassador Lido’s Special Course. 16 complete treatments for $25. Includes posture corrective exercise, Reducing Ring Roller, Baths and full body massage – also use of plunge and Suntan Beach on day of treatment. This offer may be withdrawn without further notice, so please let me hear from you. This card entitles you to a complimentary treatment – not transferable. Free Parking…Louise Brown, Directress. 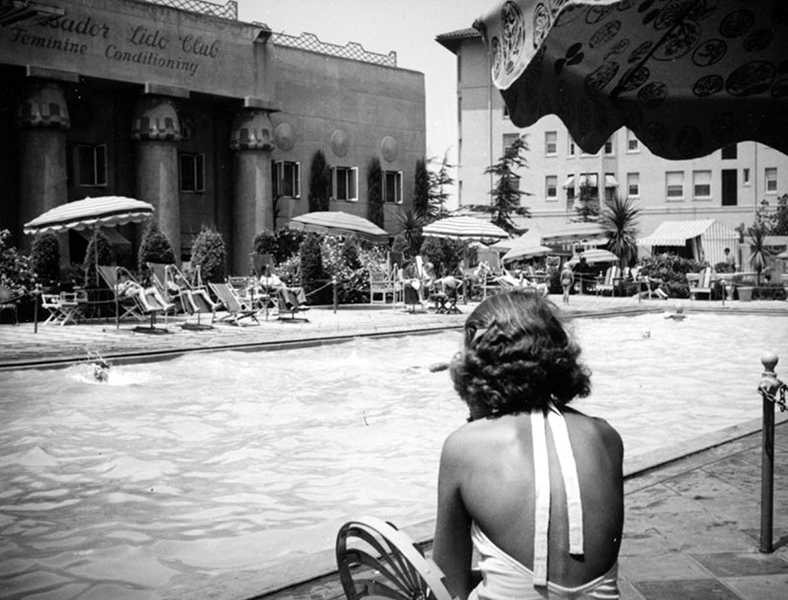 Another view of the Lido Pool Club. 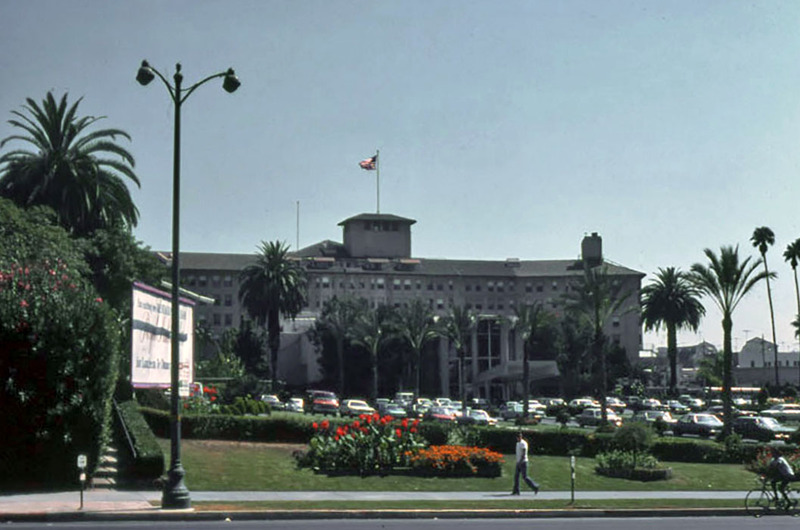 A vintage postcard depiction of the Los Angeles Ambassador Hotel lobby. 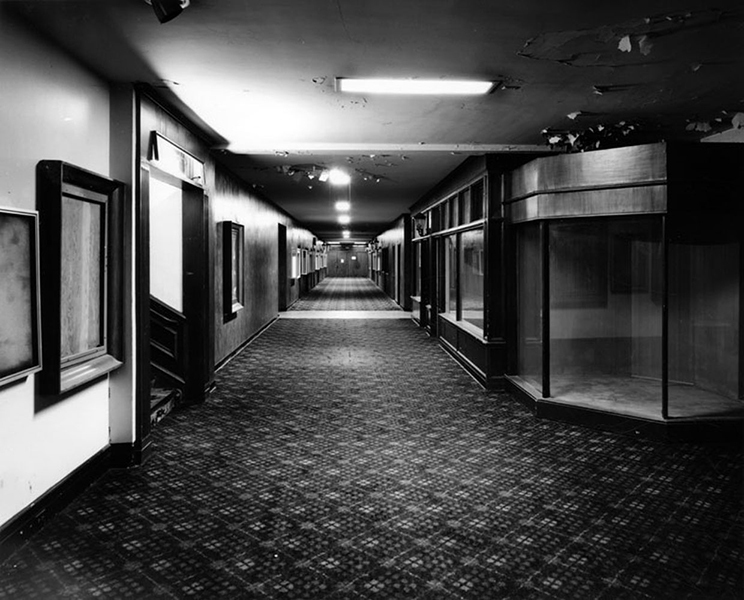 A vintage view of the Ambassador Hotel lobby in Los Angeles. 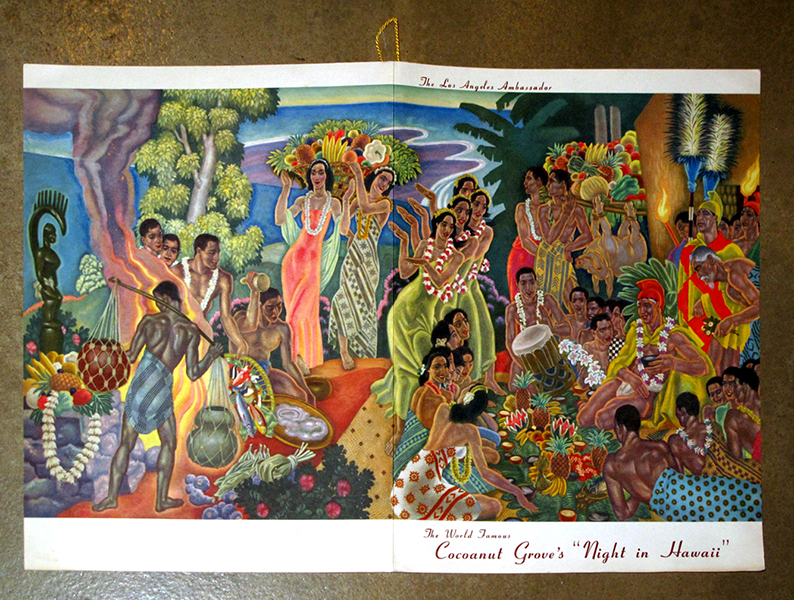 Although the Cocoanut Grove started its “Night in Hawaii” as early as 1928, it became a regular Tuesday evening event from 1951 to at least 1954. House bandleader Freddy Martin recorded a live album at the Cocoanut Grove in 1957. He also provided the launching pad for one of his crooners, Merv Griffin. Martin returned to the Ambassador in the 1970s. 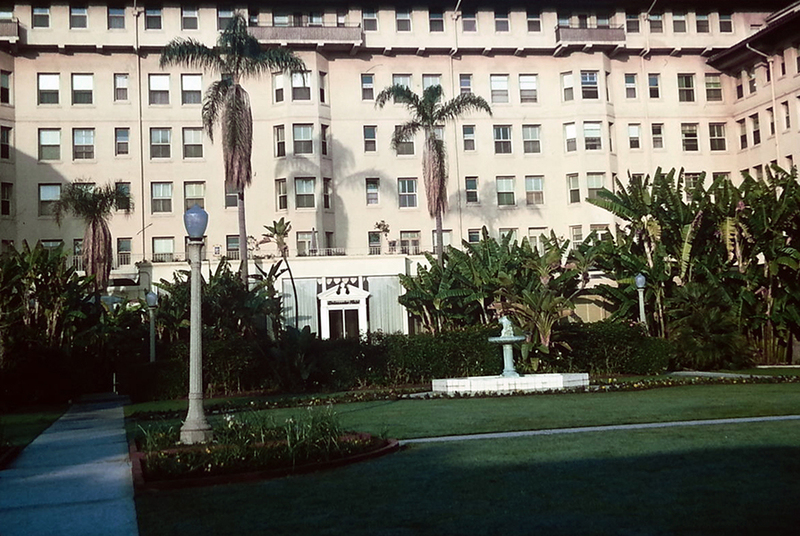 An enlarged, high quality postcard image of the World Famous Cocoanut Grove at the Ambassador Hotel. 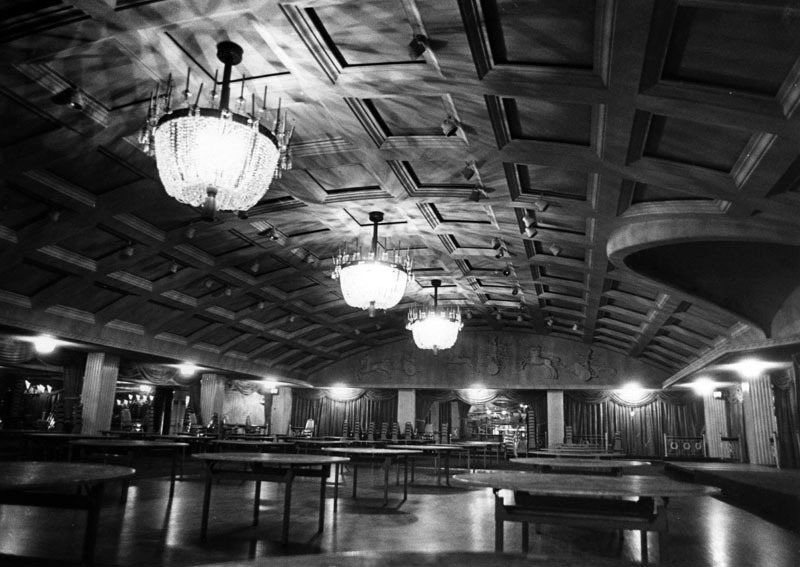 The Dolphin Court, an outdoor cafe that once existed inside the Los Angeles Ambassador Hotel. 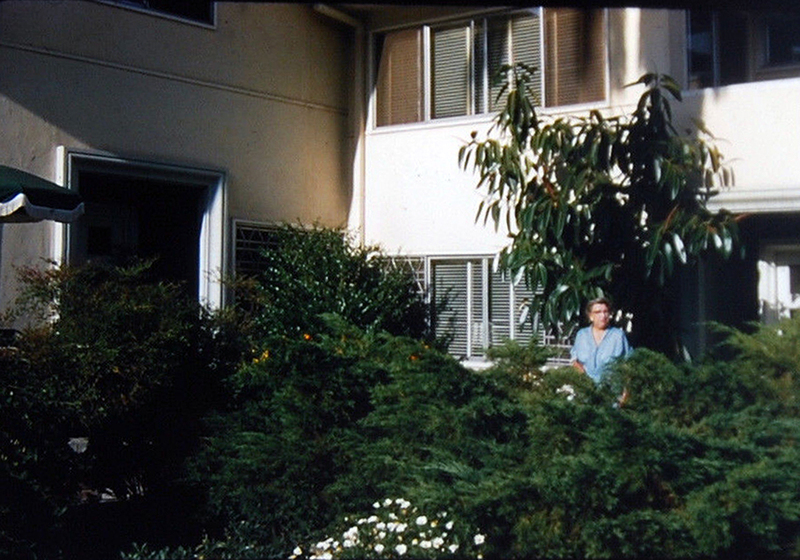 A Kodachrome taken outside of one of the Ambassador Hotel bungalows. Photo is undated. 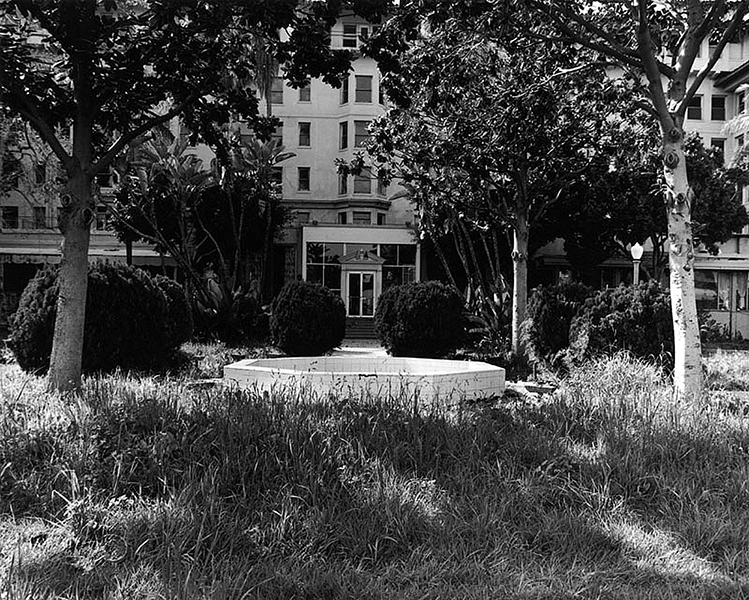 The east side entrance to the hotel, circa 1963. 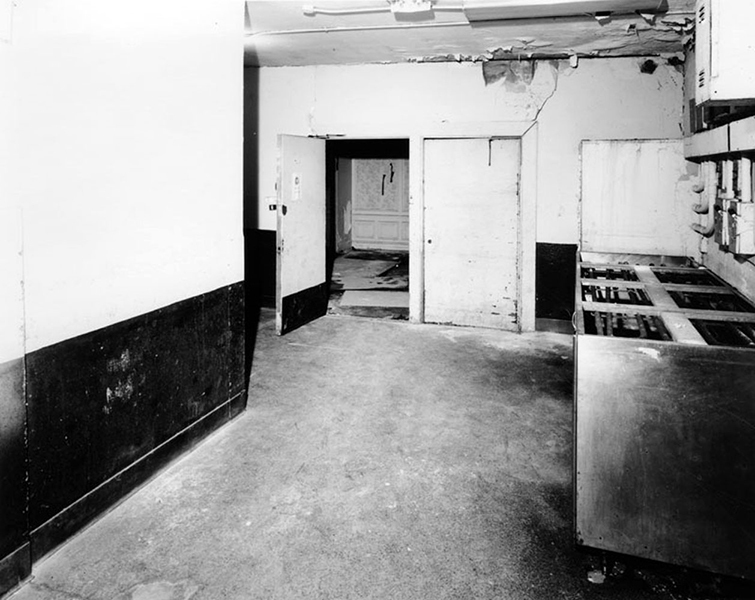 On June 5, 1968, Robert “Bobby” Kennedy was fatally shot inside the hotel’s pantry. Juan Ramero, a hotel employee, knelt beside him seconds after the shooting. 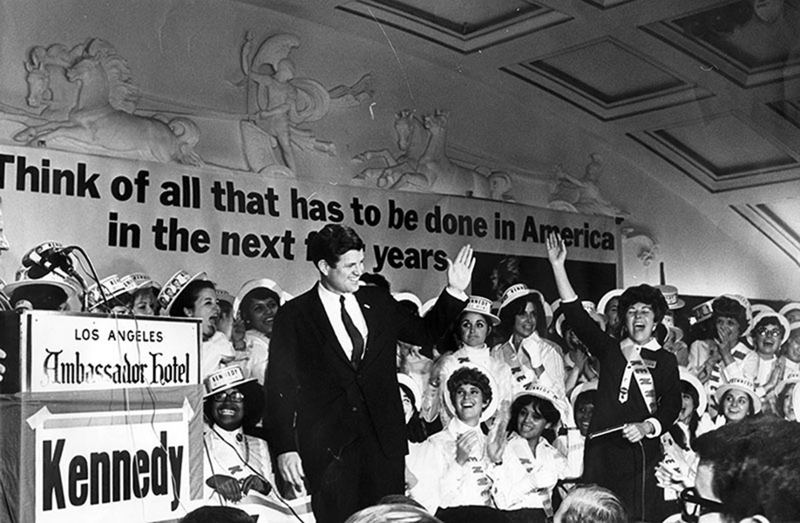 Although Kennedy did not die in the hotel, his shooting erased much of the hotel’s storied past in the minds of many Angelenos. 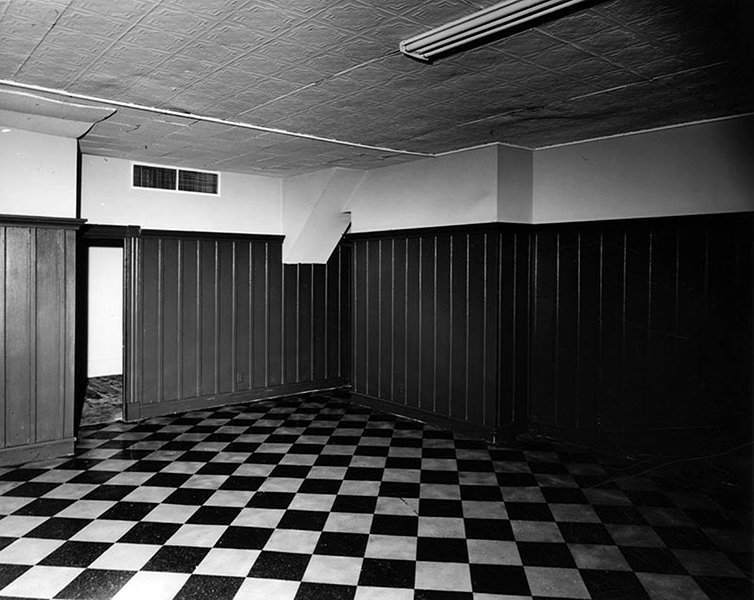 Photo taken in 1978 by Anne Laskey. 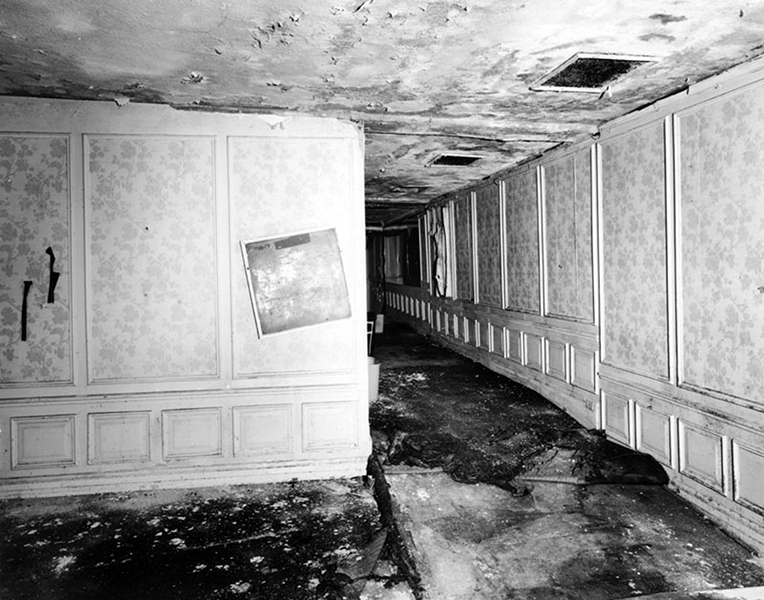 By this time, the Ambassador was definitely rumored to be a haunted by more than one ghost. 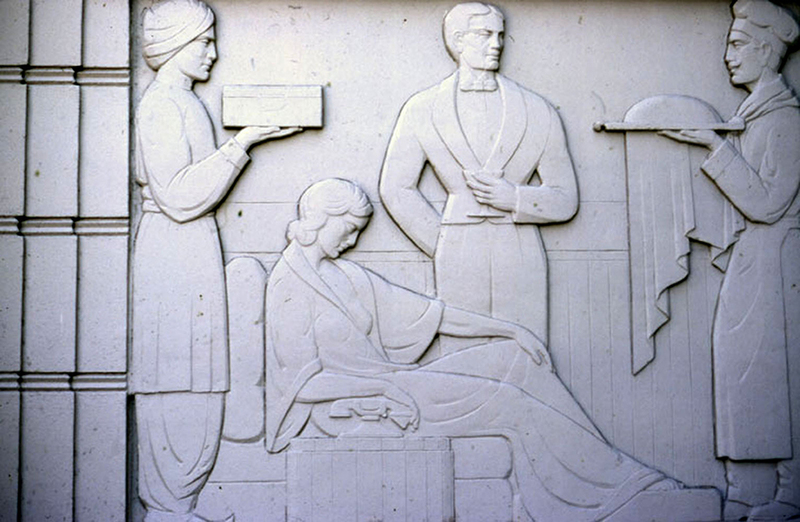 LAPL 00090134. 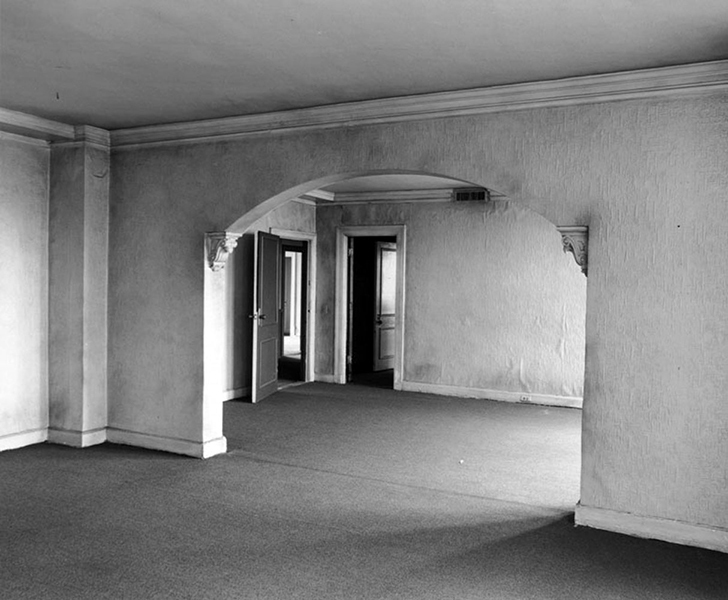 The Embassy Room in 1987. The Palm Bar near the lobby. The Cocoanut Grove in 2003. 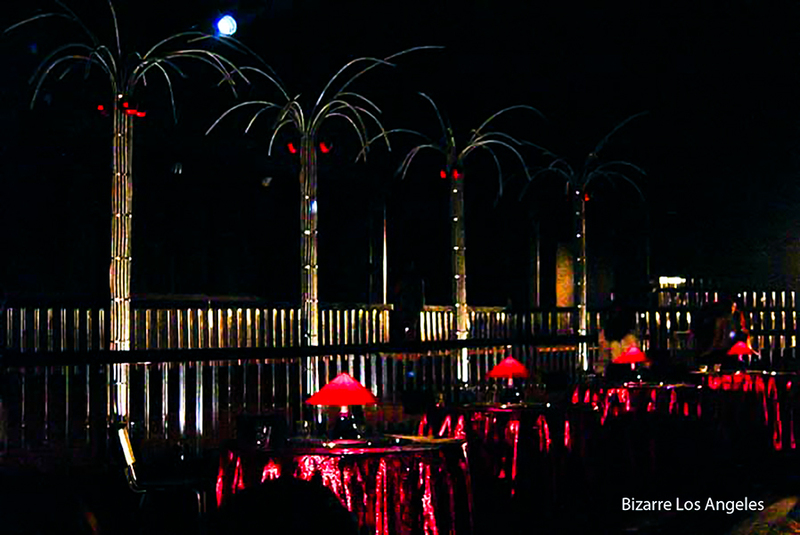 The palm trees were for the Heidi Duckler Dance Theatre, who staged the last performance before the building’s destruction. L.A. Then and Now: 12601 S. Wilmington Dr.